What Is Event Marketing - Events Marketing - On Event Production Co.
We live and breathe events, it’s what we do. 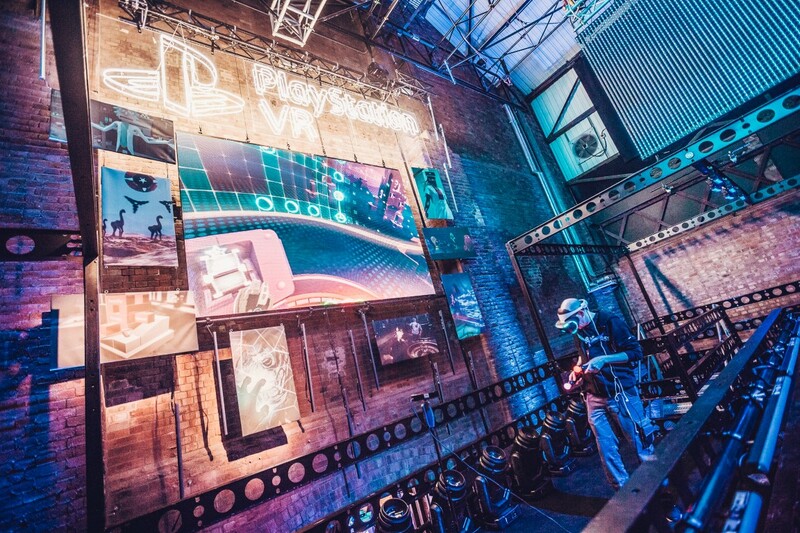 Experiential or activation, you name it, we can help create it, turning ideas into reality and building experiences you’ve only ever dreamed of. We’re passionate, innovative, and not afraid of a challenge. This is why we adore our job. But putting passion (and bias) aside, event marketing is an effective and often lucrative addition to any campaign. Some 75% of B2B marketers listed ‘in-person events’ as their top marketing tactic. So, what is event marketing? Event – or experiential – marketing engages audiences and can create a sustainable, positive impression on consumers. This is great news for marketing agencies, giving you a chance to really let inspiration strike and for your creative juices to flow. It’s also great news for us, giving us exciting opportunities to build unique experiences as the architects of your imaginations! Let’s be completely clear, we’re not the ideas people, that’s up to you. If you’ve got an amazing idea we can build it and make it real, you’re the brains of the operation – we’re the hands that make it happen. But, what is event marketing used for? And what can it do for my business? Consumer demand is growing bigger and bigger and it shows no sign of stopping. People want more from a brand than just being told how good it is, they want to interact. Supermarkets sell more of a product when customers get to taste it. This is a brand experience or product activation in a simple form, and customers want more of it. This simple idea can be ramped up and produced on a bigger scale to reach more people and result in more sales. Building exciting, immersive experiences in which consumers start to really feel something different about that brand is what we’re passionate about, it’s what we’re good at, and it’s what your customer wants. Everyone wins. Some businesses don’t have physical products or items to sell, which often makes marketing difficult. Experiential marketing can be a great solution as events and real-life experiences are better at engaging the human brain to build memories. And experiential marketing is all about creating memories. People connect much more when they are able to link a time in their life that they engaged with that brand. We help to build these interactions, helping you to build a fanbase. And with our (many) years of experience, no job is too weird, wacky or wonderful! In fact, we look forward to seeing the best and craziest ideas you’ve got. Digital receives an average dwell time of less than a second, for outdoor its five seconds, and the press is 17 seconds, yet for marketing experiences, it’s ten minutes… Tempted yet? Are you ready to create an experience? Are you in need of technical experts to help your ideas to life? Here at On Event Production co. we live and breathe live events. We are the architects of your imagination, building the environments and experiences you’ve only ever dreamed of helping you to inspire an audience.